I’ve always liked a few of Baume & Mercier’s designs, but never thought I would end up with one of the Flagship Magnum XXL’s with the Rose Gold and PVD Case. 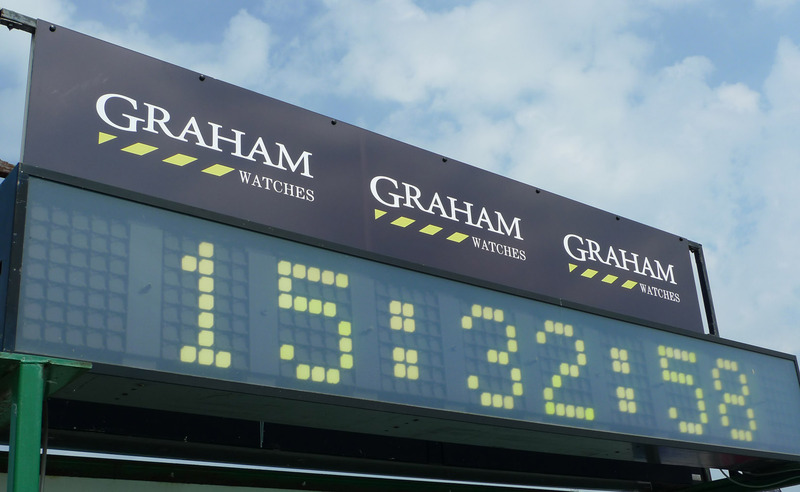 While its not a brand that commands the respect of some of the others, its still a luxury watch company that has quite a bit of brand penetration and awareness. 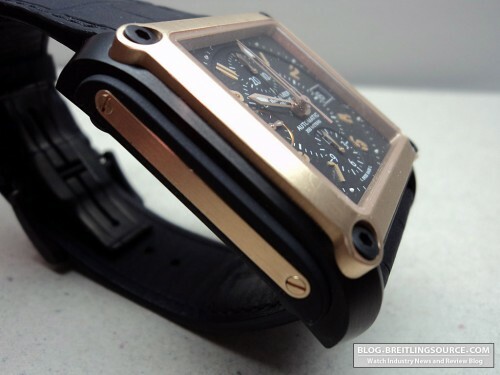 The Magnum XXL 8825 in 18K & PVD is one of their most expensive watches, and features some nice combination of Rose gold and PVD, which is a popular color combination these days. The watch is a generous 48 x 37.4mm, and wears like a 44mm round-cased watch. This is an imposing watch with some serious color combinations that really makes an impact. Beautiful crafted case and Rose Gold inset pieces are really impressive. As you can see there is a 18K Rose Gold insert on the side that is screwed in. 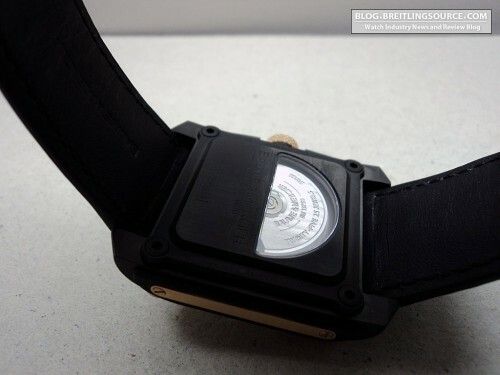 Nice extra touch on an already beautifully crafted watch. 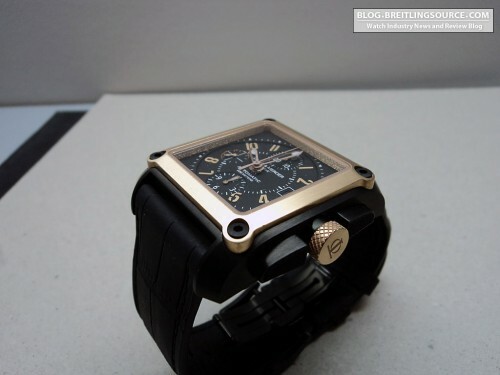 This watch certainly isn’t everyone’s taste, but there is a certain charm to it that I really find compelling. When I strap it on I do find that it is a bit harder to match than other watches I have due to the PVD and Rose Gold. The Deployant Clasp is PVD and blends right in with the Alligator pattern strap – both of which suit the watch wonderfully. 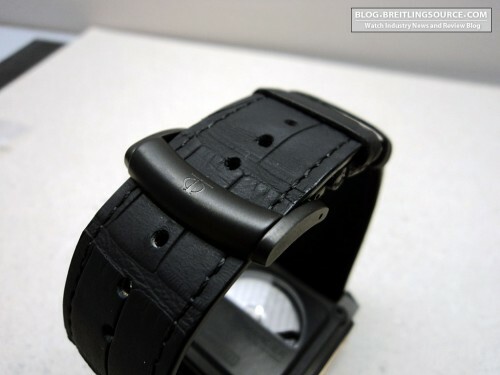 The strap construction is quite well done on this watch, and has a nubuck finish to the leather, which I cannot seem to find a concensus on whether it is Leather or Alligator. If I had to guess, I would say Leather. Movement is a modified ETA/Valjoux 7750 with a signed Baume & Mercier Rotor. I would have liked to see at least a DLC’d rotor in this watch. The half-moon window is a nice touch, however. The movement works well and is an established work horse that just about any competent watchmaker can fix blindfolded. The watch is well made and I am quite happy with mine. I received it in a trade and it is fun to wear. The Rose Gold portions are generous with the large crown and the full Rose Gold bezel that goes past the dial as evidenced by the inside of the watch under the crystal. The weight of the watch also does not let you forget it! A nice piece by a company that I don’t usually consider. Dievas Vortex Professional – Awesomeness! 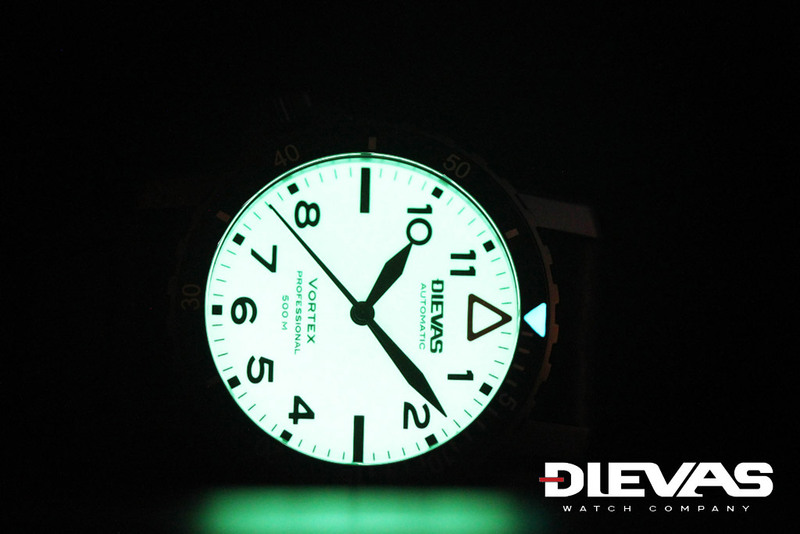 Been loving the Dievas Vortex since it came out two years ago, and this new Vortex Professional Diver is even more awesome! 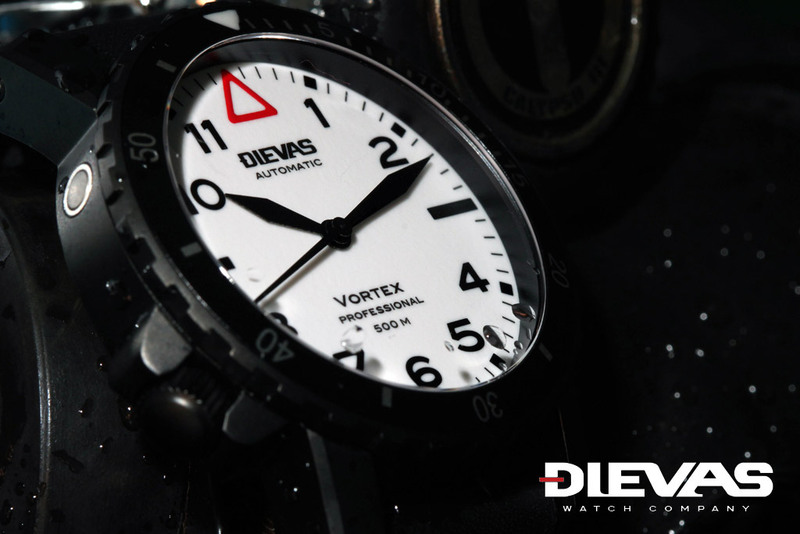 The Dievas Vortex Professional adds several new features over the original Vortex. 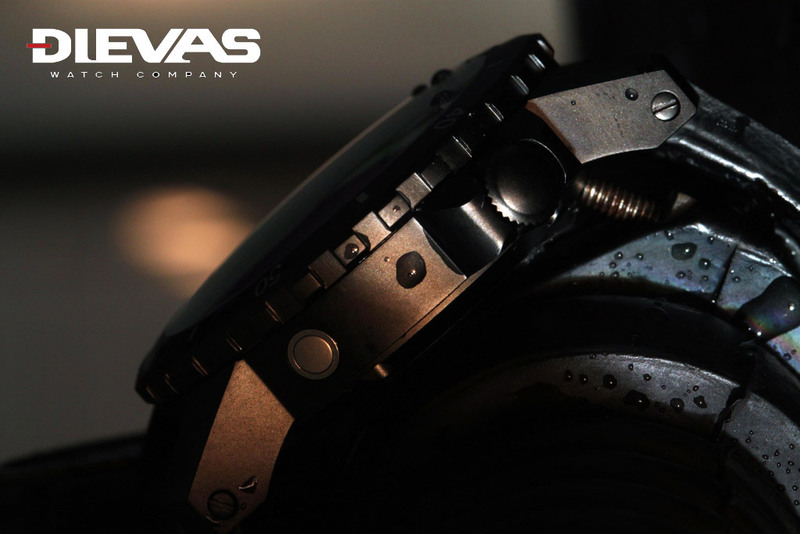 A few of the new features of this Dievas Professional include a DLC Black Rotor, even though its hidden beneath a solid caseback; the same German-made titanium Fricker case, but this one featuring a scratch resistant Plasma Finish; and a killer off-white fully SuperLuminova’d dial! Here is the video review finally of my Eterna Soleure Moonphase that I reviewed a while back. This is one of my favourite “off-brand” watches, meaning brands that are not well known with the majority of people. I love the single pusher Chronograph function and I love the clean subdial for the moonphase. 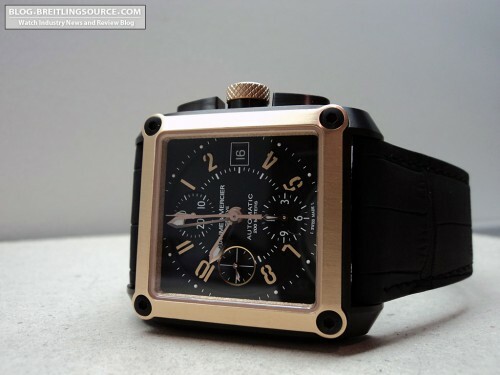 Instead of putting the Chronograph Hour counter there, its a clean moonphase complication. Fit that onto the nice 42mm Soleure case from Eterna, and you have an outstanding timepiece. 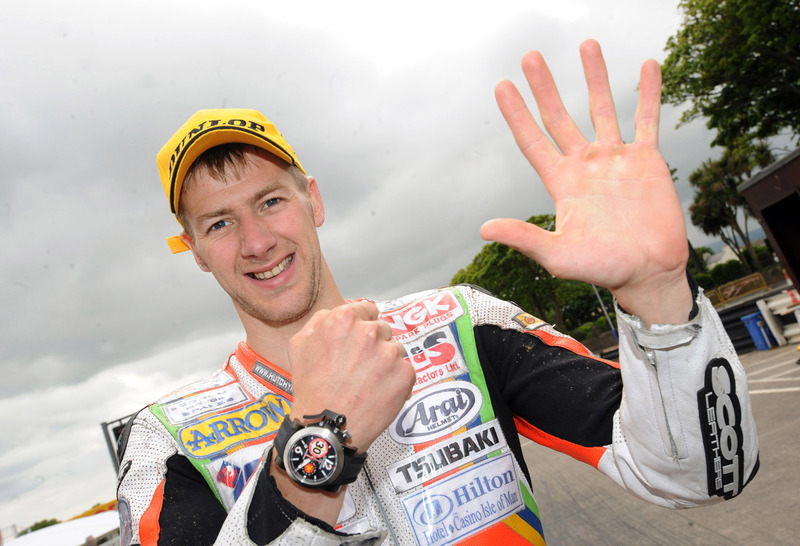 At any rate, should be a good watch as the Isle of Man TT is a very exciting race if you are into motorcycle racing. Win your Pilot’s License from Breitling! Aviation enthusiasts and Breitling devotees now have the chance to take flight with Breitling. The brand, who has shared the finest hours in aviation history, wants to share its passion for flight by launching a Facebook contest like no other. 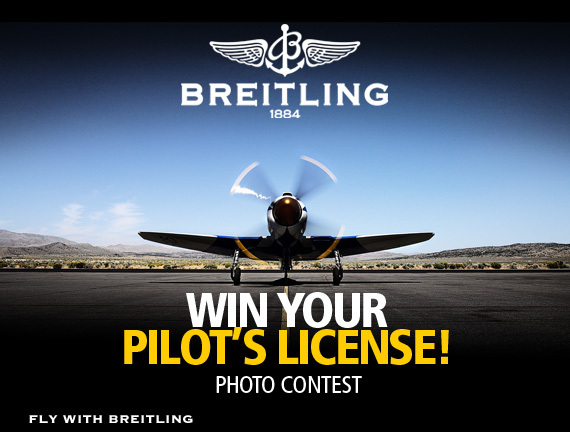 Submit a photo that best captures the spirit of aviation for a chance to win your pilot’s license or the ride of a lifetime with the Breitling Jet Team. Prepare for take off. Submissions will be voted on by Breitling Facebook fans and by a panel of extraordinary judges including actor and pilot John Travolta, professional air-to-air photographer Katsuhiko Tokunaga, and aviation pioneer Yves “Jetman” Rossy.